Home › Construction Spanish › Jobsite Leadership › Buy Latino. Buy a Buick. A blue clad Shaq walks towards some new Buick that actually looks like something a regular person (Shaq is not regular in any sense of the word) would drive. Subtitles identify Shaq as a size authority. I reject this premise. He may be an authority on being a ginormous human, but I doubt he relates much to the little guy in Game of Thrones – Peter Dinklage. Peter has size too, you know. Smaller, but still a size. Shaq, an authority on being Giant? Sure. But an authority on size in general? I think not. I may be splitting hairs here, but c’mon…. At any rate, Shaq gets in the car and folds himself up like a lawn chair. He mumbles something and points at the camera while that ubiquitous Florida song comes on. 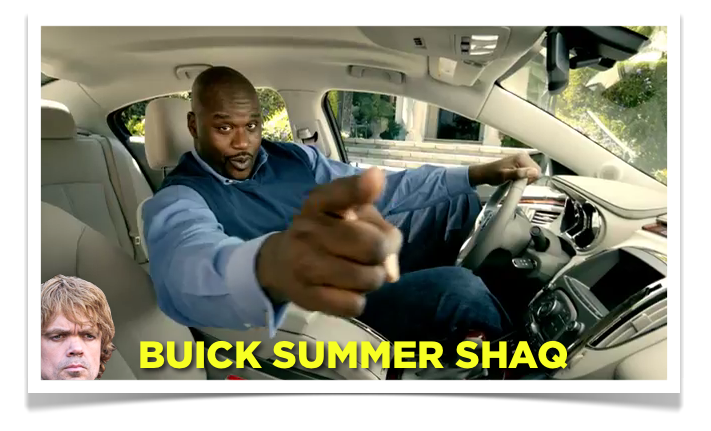 Does anyone really believe Shaq drives a Buick? Shaq retired last year – is he already low on cash? Wasn’t Shaq going to become a beat cop after the NBA? 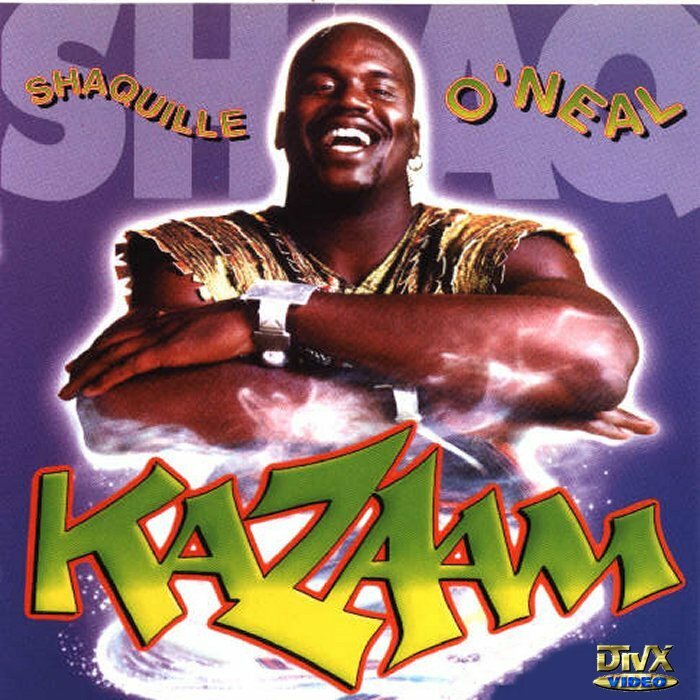 When is Kazaam II coming out? OK, OK… you may be wondering: Where exactly do Buick and Latinos intersect in this Shaq-errific post? No, Shaq is not Latino. While Buick may believe Shaq is all things to all people – he aint Latino. But Buick is. 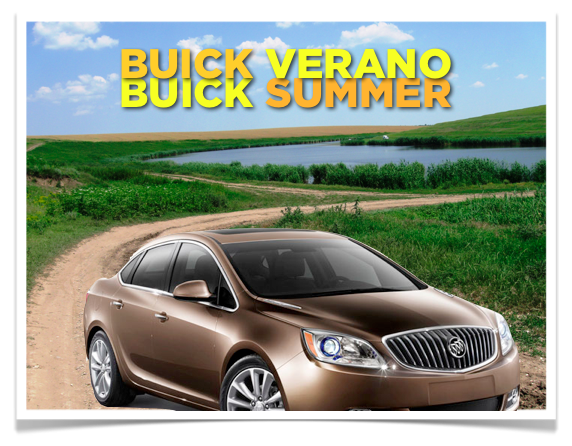 Buick’s new ride is the VERANO (bay-RAH-noh) Summer. 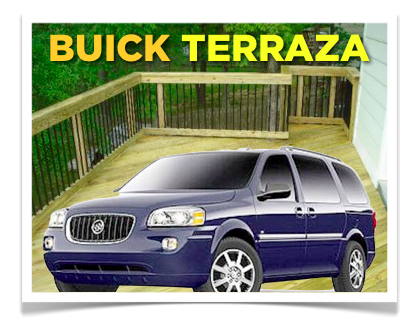 Presumably the Buick Verano (summer) will pull into el garaje (gah-RAH-hay) next to the Buick Terraza (tay-RRAH-sah), which means Deck or Terrace. Maybe I shouldn’t be so hard on Buick. After all, they are helping bridge the language gap one carro at a time.